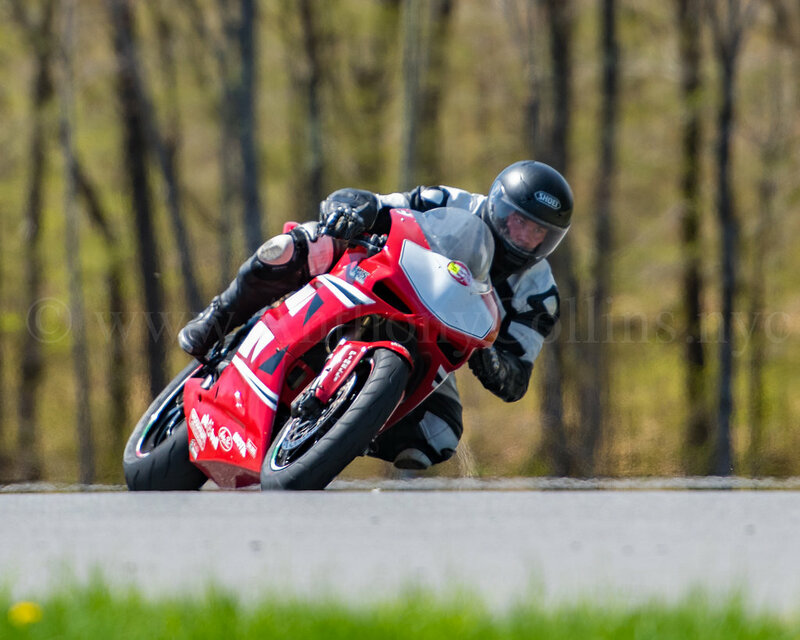 especially considering I was rained out of day 2 racing at NYST a couple weeks back with EvolveGT, and despite having very short legs (I have a 28" inseam), today was the day I finally got both knees down. 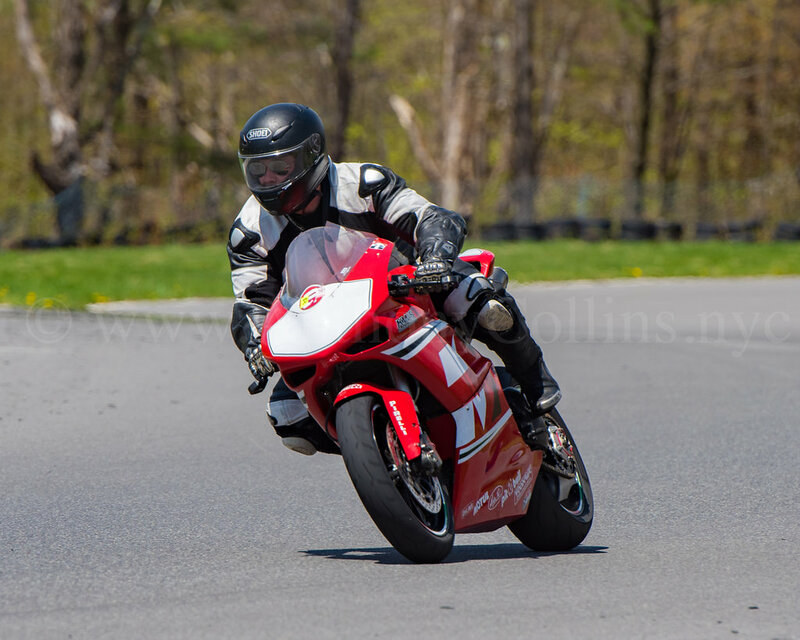 Rockwell Cycles is at New York Safety Track every weekend, but they arrange private days where they rent out the entire track to a smaller audience, typically on a Monday. 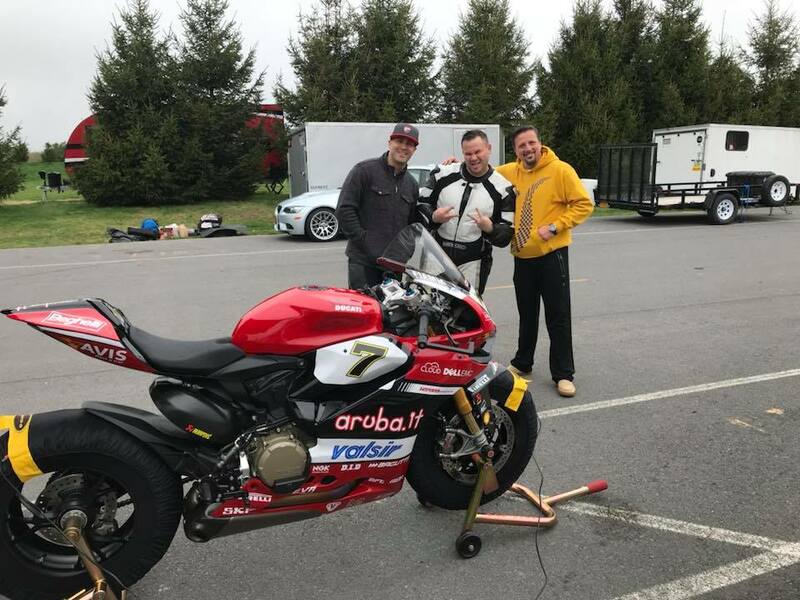 The community is smaller, the bikes are usually Ducatis or MV Agustas, and the coaches are a bit more hands on than an open track day. 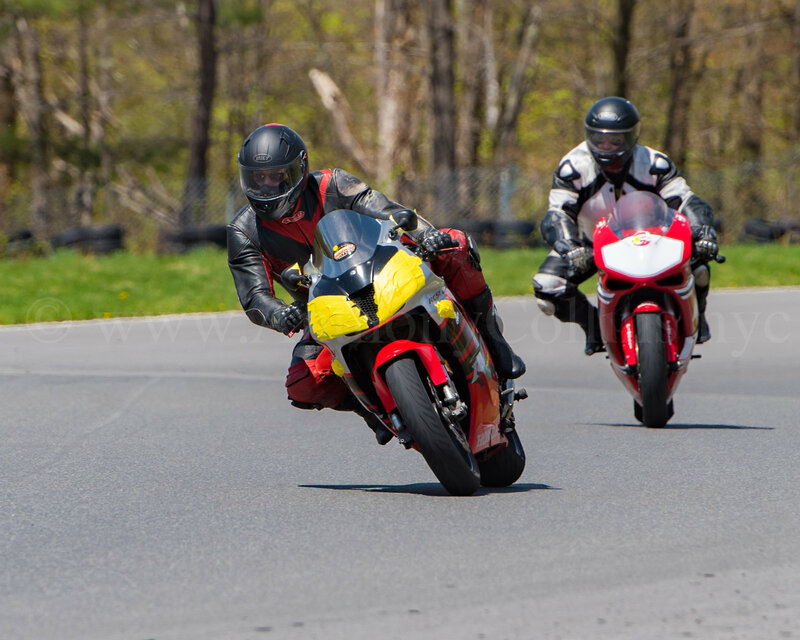 Rockwell usually does three, twenty minutes session, with two riding groups (beginner/intermediate and expert), and another session for cars. This gives you considerably more time on the track, but forces you to cope with the chatter from rubber left behind by that GT3 that has discarded half its tire going around the same corner. Jon and I got up EARLY.. I was at his apt by 4:30am, and we got up to the track before tech inspection at 8. 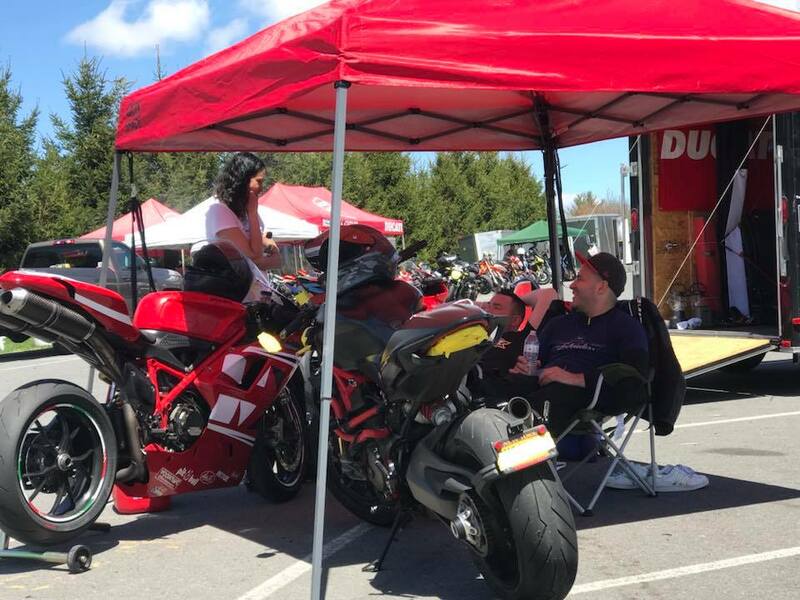 We were happily greeted by some friends and fellow Ducati aficionados Glenn, Michael, Melissa and Joe from the NorthEast Ducati Track Riders. 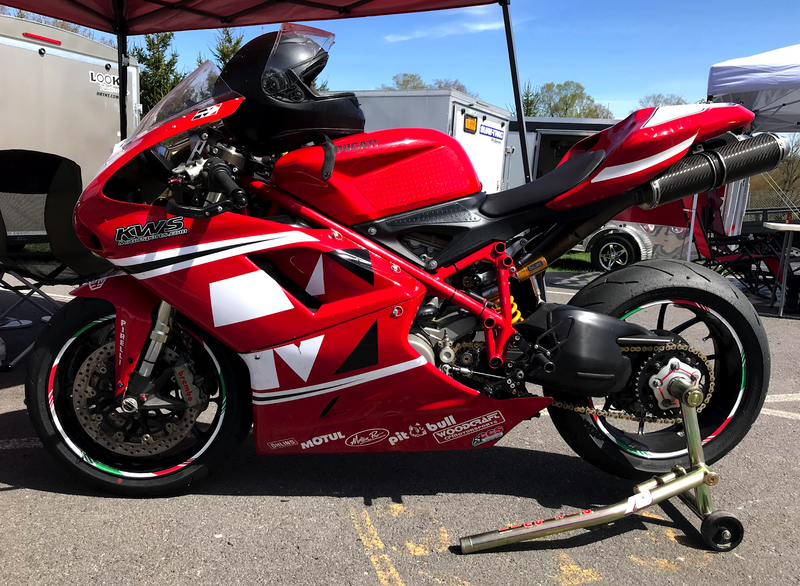 Micheal and Glenn both sport WSBK replica Panigales, Glenn with 1299 with a Chaz Davies livery (above), and Michael with a 959 after Marco Melandri. who took some amazing photography of all of us. I'm feeling pretty out of shape, but even though I didn't get much sleep, the second day was much easier than the first day. and another noob going way off their line. I loved the 20 minute session, but the beginner group gets backed up behind brand new or unconfident riders nearly every time out. I guess I'm not really as patient as I should be, but we are at the race track. and "Hey!" -definitely no more chicken strips. Jon and I did skip the last session though, as we were pretty exhausted; and fittingly stopped (at an Italian) pizza place for a bite before driving home the next day.